” Adam Schiff’s Fight to the Ropes ” – March 29, 2019. Adam Schiff, (D) Chairman, House Intelligence Committee. In an aggressive and substantive speech, Adam Schiff, D- Chairman, House Intelligence Committee, pointed to 18 facts as in the 18 step Quality Assurance in Business, to support his statement(s) that he has consistently be holding firm in respect of Donald Trump having ‘colluded’ with the Russians in 2016 Election contrary to what Attorney General, William Barr’s four-page principal conclusions already provided. Attorney General, William Barr’s principal conclusions of the Mueller Report has been the basis on which both President Donald Trump and the 9 republicans in the House Intelligence Committee called for Adam Schiff’s resignation from the position of the Chairman of the Committee. Adam Schiff has been one of Donald Trump’s strongest critics in the last two years. Mueller’s report is over 300 pages in length. The report, possibly after it is redacted is expected to be released within weeks. 1. Resignation is not a somber affair where some members make the call bacause they want a change in something the Committee is working on, without a serious critique on the overall performance of the person individually or the Committee collectively. 2. 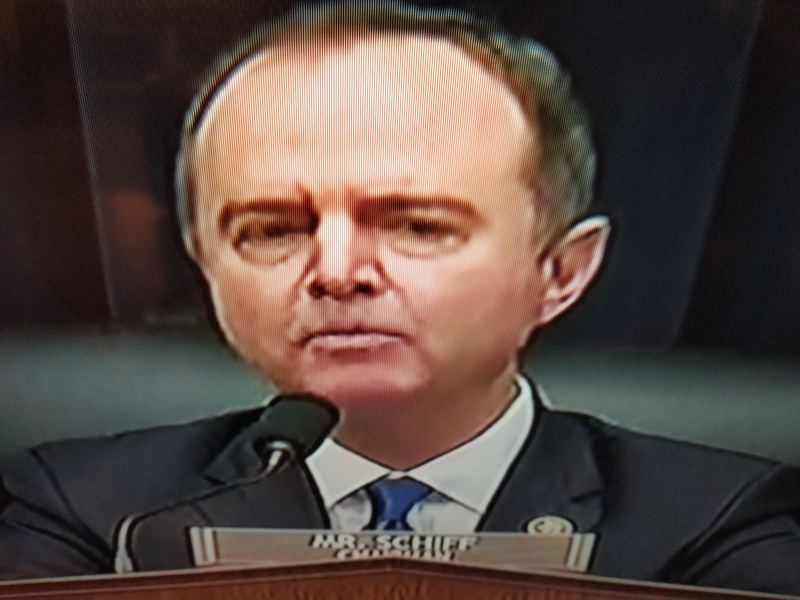 Adam Schiff has presented the points in his speech in the hope that people will listen to his arguments ; think for themselves ; and also make a judgement whether the arguments signal clearly any wrongdoing or not. 3. Adam Schiff stated the points for continuing with some aspects of investigations like the part of Obstruction of Justice that was left to the interpretation of AG, William Barr and Rod Rosenstein by Mueller. There was no expression of grudges in this. 4. It now becomes imperative to further establish whether they are really ‘truth bombs’ or simply a case of defense. 5. Republicans’ call for Adam Schiff’s resignation may well be a strategy to push the Democrats who had tasted mid term success elixir back where they (Republicans) think they (Democrats) ought to be. Can the Democrats do anything more at this juncture to keep the discussion on Trump’s wrongdoings alive and how long is uncertain. (a) Anger to action : They may like to show that they are passionate about elimination of corruption and wrongdoings at the highest level of Leadership and try to influence people through social media, party discussions, town hall meetings, and other public forum. 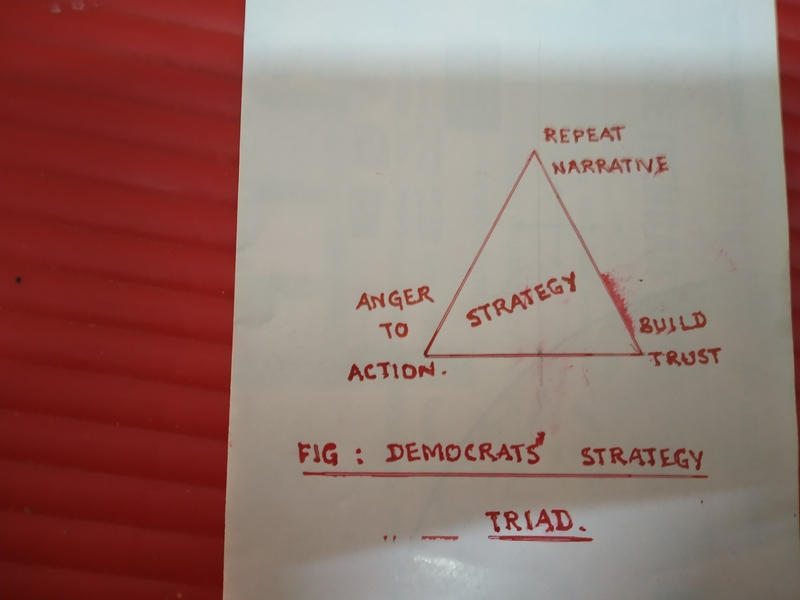 (b) Repeat Narrative : They should aim for the right narrative conveying the intent to repeat itself by someone in the middle rungs of the party periodically in every State to earn confidence of the people. (c) Build Trust : A simple way to do this is to describe experiences where people feel let down by corrupt and unethical leaders, thus broadening the knowledge and insight into their impact. Adam Schiff seems determined. He may well carry on his fight to the ropes. Tidbit : ” People are filled with zeal to protect oneself from the other in this critical moment “.